Well back to my story. The one I chose for Justin, who loves cooking as well as tasting new foods, was the MasterClass taught by world-renowned chef, Gordon Ramsay. It was not immediately available, as it was a new release that I had pre-ordered, so I pretty much forgot about it, that is, until yesterday. 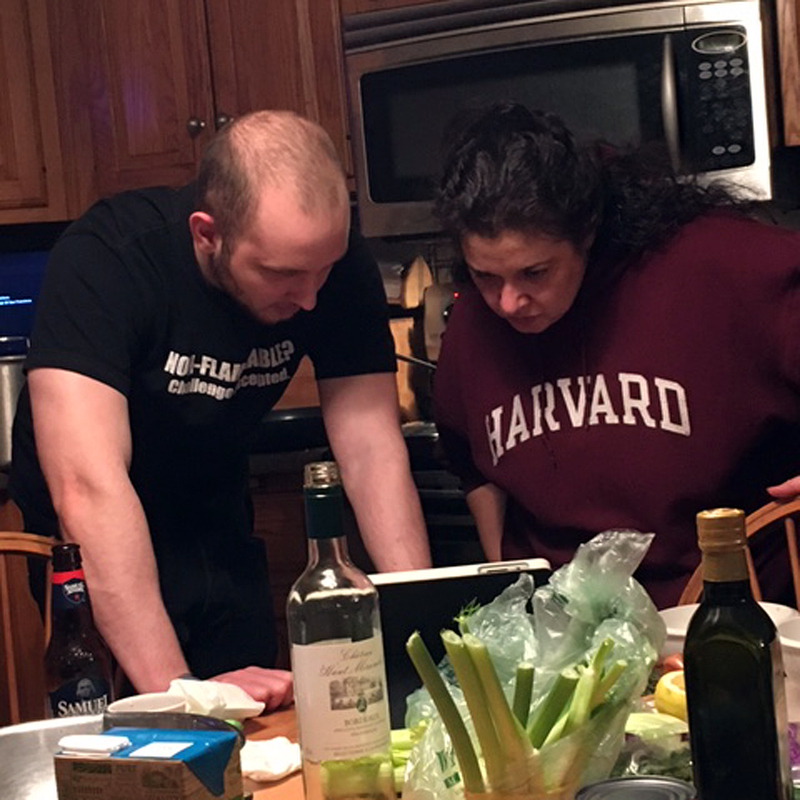 That’s when Justin approached me and said, “Mom, let’s pick a recipe. I’ll buy the ingredients, and we’ll make it together.” I was so happy! I was thrilled he liked his gift. 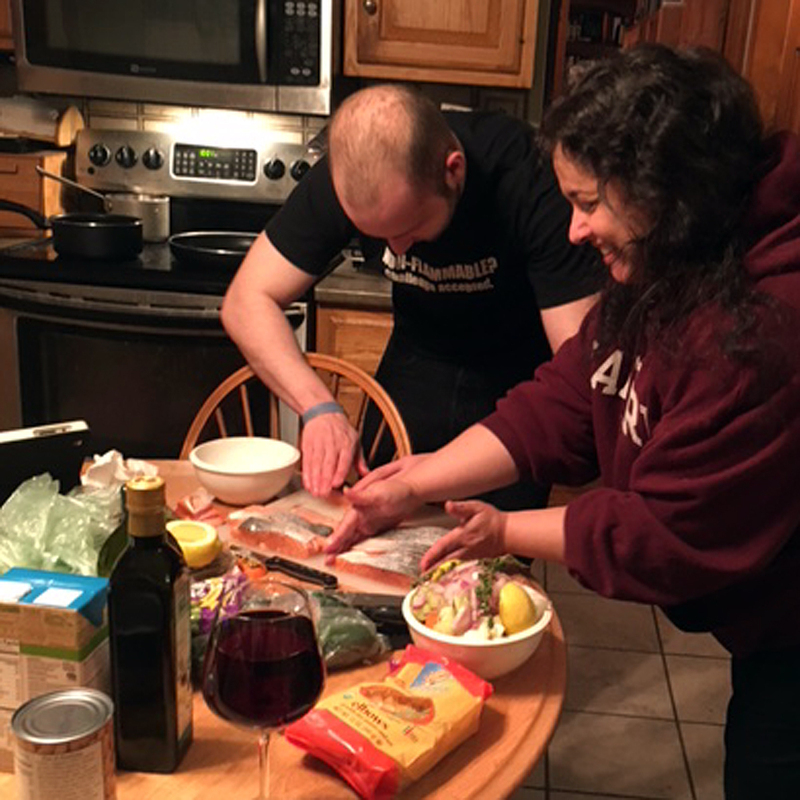 I was pleased by his offer to make dinner for the family; but most of all, I was touched that he wanted to share the experience with me. The very first recipe we picked looked so mouthwateringly delicious, that we looked no further. 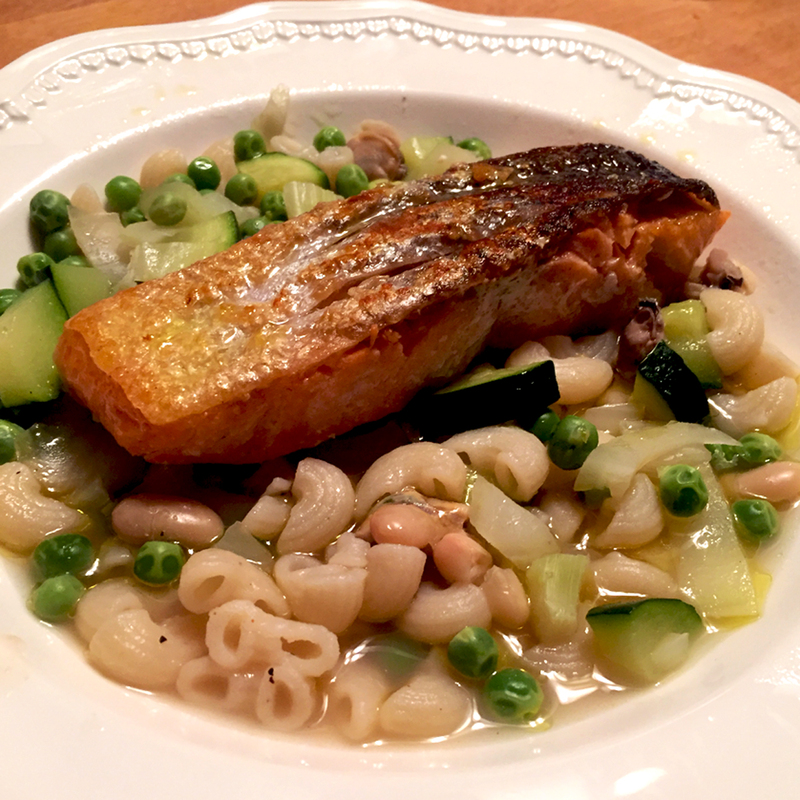 Salmon with Shellfish Minestrone. Wow! Cockles and mussels and salmon, along with veggies, spices, and a rich broth. We watched the video and thought, we can do that! So off we went. We set out in search of the ingredients, and three grocery stores later, we pretty much nailed them. Lemon thyme was our only casualty, having to accept the concession of going with traditional thyme instead. We even secured cockles! We laid out our ingredients, painstakingly pre-prepared them, set up access to the video, and embarked on our Saturday night adventure. 2. I need new knives. Scoring salmon is pretty challenging. The skin is insanely tough, and even with knives that suffice for other tasks, this goal thoroughly tested and exposed their inadequacy. 3. 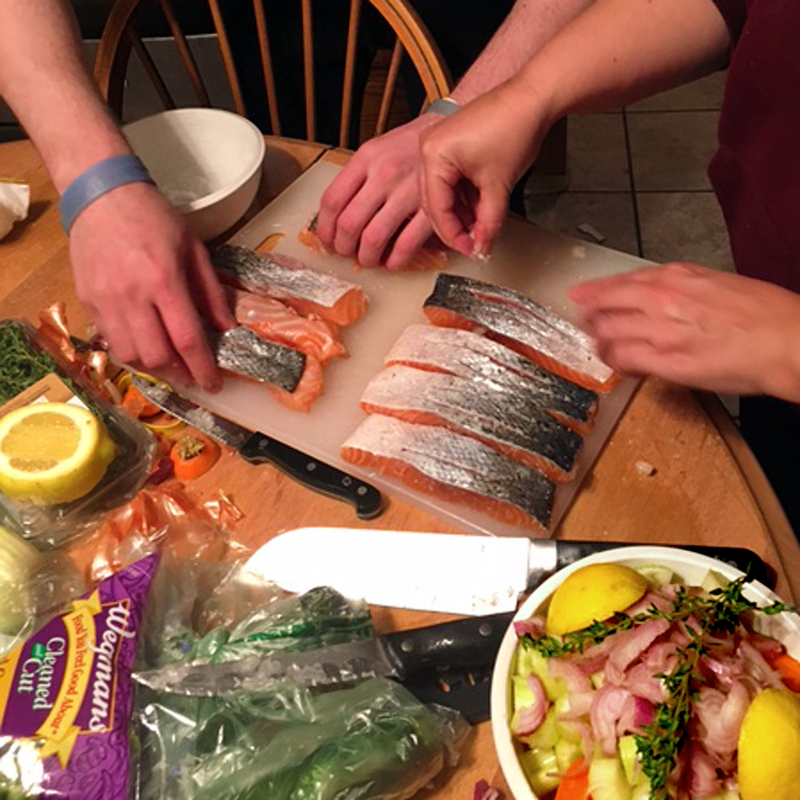 It is easy to show your salmon some love when you are so thoroughly enjoying your company! 4. Even if every step does not feel like it’s coming off perfectly, in the end, you will probably wind up with a pretty tasty meal. Had the meal been awful, I could not have enjoyed my special Saturday evening with my son anymore, but you know, it didn’t turn out awful. It was actually amazingly delicious!